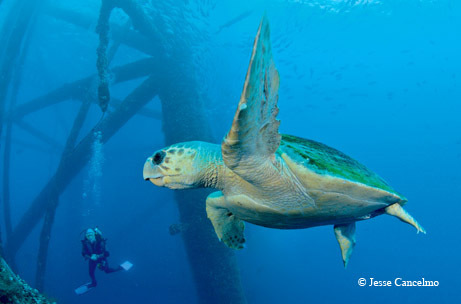 We all have a stake in the future of the Gulf of Mexico. It’s our nation’s gas station, seafood market, water filter and, sometimes, our trash can. It has been called America’s Sea, the American Mediterranean, the Energy Coast and the Industrial Coast. It has also been called the Lost Coast and the Forgotten Coast. What is the Gulf of Mexico? It is probably some of all of those things, but for me, living on its margins and studying it for nearly 50 years, it is home. Not everyone sees what I see in the Gulf. I was filled with dismay and frustration upon hearing a senior federal agency administrator — charged with managing our nation’s ocean waters — write off the Gulf before an audience of agency staffers. I have stood silently seething as a leader of a major conservation group stated that there was nothing worth saving in the Gulf, that it was a lost cause. I doubt any of them have ever visited the Gulf. If they had seen what I have seen, or been where I have been, they would certainly eat those words. 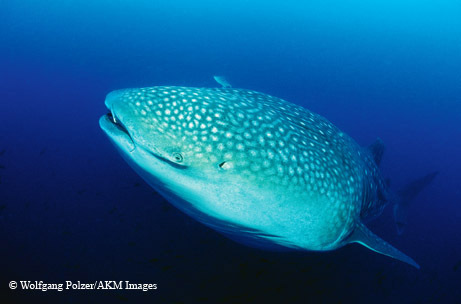 In the Gulf, I have swum within a 90-member school of the largest fish in the world, whale sharks. Ten-foot-long juveniles and 30-foot-long adults glided through milky clouds of bonito eggs in the cobalt-clear waters above Ewing Bank, in the north-central Gulf, 63 miles off the Louisiana coast. It was a feast that would sustain these giants of the deep on their endless ocean voyage circling the Gulf. I have seen morning come to the Laguna Madre from my kayak. With silence as my only companion, I watched a school of redfish break the surface. Tails waving purposefully and flashing iridescent blue, they fed urgently along the shallow bottom, preparing for their fall migration offshore to spawn. Roseate spoonbills, invisible just minutes before, glowed pink in the early light as they methodically raked their specialized bills back and forth, back and forth, filtering out their breakfast. Fish, shrimp and crabs rippled, jumped and streaked about — some chasing breakfast and some being chased. As the sun rose higher, a green carpet of seagrass meadow expanded out from around my boat until it reached the far shore and rippled back in the early morning breeze. I have been assaulted by a silver cloud submerged beneath the waters of the open Gulf off northern Florida. Initially stunned as a wall of panicked eyes raced at, and then around, me, I became disoriented and dazzled by a flashing mosaic of silver fish. It was a school of menhaden, so numerous they could not avoid me but for some reason determined to get past me. Lost within a swirling disco ball of fish, I fought to tell up from down. They passed suddenly, and I tried to regain my composure. The reason for their panic became clear as the last of them raced by and left me suspended in the ocean. Long, silver torpedoes were harrying the school like wolves — tarpon! They paid no attention to me as they pursued dinner, and within seconds they, too, passed out of sight. I drifted, bemused, back to the surface. These are just a few impressions of a lifetime of memories about my Gulf of Mexico. Who could experience such and think the Gulf not worth any and all efforts to protect it? I wish the naysayers and ignorant could experience a tiny fraction of what I have experienced. Were that possible, the future would not be so unsure. We face significant challenges to the Gulf’s future, but it is not lost, not even close to being lost. What we have is worth all our best efforts to save. The Gulf of Mexico is a sea of contrasts where the nation’s economy and the environment both coexist and contend. It is home to one of the most diverse ecosystems in the world and one of the most productive. The Gulf is a key to our nation’s energy security. More than 3,300 oil and gas platforms and structures dot the waters of the Gulf, and connecting them together is an unimaginable maze of pipelines, funneling their output into the heart of the United States. More than 45 percent of the refining capacity, 30 percent of oil production and 20 percent of the natural gas produced in the U.S. comes from here. The Gulf contains major energy reserves — 60 percent of the oil and 40 percent of the natural gas. If you drive a car, use anything made of plastic, heat or cool your home, eat bread, pork, beef or poultry — you have a stake in the future of the Gulf of Mexico. If you eat seafood, hunt, fish, go bird watching or enjoy the beach — you have a stake in the future of the Gulf of Mexico. The Gulf is not only a key to the energy security of our country, it is equally important to our environmental security. More than 38 percent of the nation’s continental wetlands, some 39.8 million acres, can be found here. Some 50 percent of all seagrass, historically around 1.25 million acres, flank the near-shore waters of the northern Gulf. All mangrove habitat in the U.S. (647,000-plus acres) is found in the Gulf, primarily occurring in Florida, but some in Texas. The healthiest and most productive oyster reefs in the world sit intermingled with other Gulf habitats. Most of this environmental infrastructure is encompassed within estuaries. Like a string of pearls, estuaries dot the margins of the northern Gulf and are the engines that drive the region’s incredible productivity. An estuary is where the sea and a river meet — where sediment and nutrient-laden fresh water mix with seawater. This dynamic mixing often produces a rich brown soup that fuels the entire coastal ecosystem. The 39 major Gulf estuaries account for nearly 42 percent of such areas in the U.S., so it should be no surprise that the Gulf is as productive as it is — one of the most productive bodies of water in the world. Between 70 and 90 percent of all commercially and recreationally important finfish and shellfish depend on habitats found in estuaries for some part of their life cycle. The Gulf accounts for 80 percent of all shrimp harvested (241 million pounds), 62 percent of all oysters harvested (22.1 million pounds) and more than 1.4 billion pounds of annual seafood production. Recreational fishing is a significant economic engine. More than 40 percent of all saltwater anglers fish in Gulf waters, spending $16.2 billion annually. Texas and Florida dominate all statistical categories of saltwater fishing, and each year anglers generate billions of dollars in economic benefits for their states. Louisiana license plates proudly proclaim the state as a “sportsman’s paradise” — a great part of the Gulf’s amazing productivity comes from the seemingly endless miles of Louisiana wetlands. The estuaries and wetlands of Mississippi, Alabama, Texas and Florida do not pale in comparison. The Harte Research Institute recently published The Gulf of Mexico: Origin, Waters and Biota, Volume 1 Biodiversity. It was a stunning revelation of the rich diversity of life that calls the Gulf home. It took the largest book that modern printing technology could handle to list the 15,419 species found in the Gulf. We joked that we did not publish the book so much as we birthed it. The book weighed 7.6 pounds! As one might expect there are a lot of seashells (mollusks) in the Gulf: 2,455 species. Crabs and shrimp are even more numerous: 2,638 species. It may surprise you to know there are also 782 species of corals and anemones, 522 species of starfish and urchins, 71 species of sharks and rays, 28 species of whales and dolphins and five species of sea turtles. Some 41 percent of the continental U.S. drains into the Gulf by way of the Mississippi River system. Basically anything that happens in the heartland of the U.S. eventually flows to the Gulf. One much-publicized result of this has been the regular formation of a hypoxic zone, or dead zone, at the mouth of the Mississippi River. It is no small phenomenon and can reach as much as 8,500 square miles, about the size of New Jersey. Within the dead zone, fish, shrimp and shellfish cannot survive and must either move or die. The cause is nutrient overenrichment, and much of that comes from agricultural fertilization runoff. Any expansion of the zone threatens the entire upper coast of Texas from Sabine Lake to Matagorda Bay. The Gulf has lost as much as one-half of its wetlands and far more of its seagrass meadows, mangroves and oyster reefs. The losses have come from coastal development, subsidence and channelization. The full meaning of that loss came home to the Gulf as a series of devastating hurricanes pounded the region in the past decade. Wetlands, oyster reefs and seagrass can be natural barriers to reduce storm surge; where they were lost we paid the price in lives and property. The Gulf of Mexico is basically a shallow subtropical sea, and as such is this country’s most vulnerable body of water to the effects of climate change. Rising sea levels, expected to be as much as three feet in this century, will flood thousands of acres. Coastal communities will become islands or disappear beneath the waves of the next hurricane. Warming water temperatures will drive fish like the southern flounder out of much of the Gulf and bring new species and a stampede of invasive species. Ocean acidification will make it far more difficult for the thousands of marine species that transform calcium carbonate into shells and skeletons. These include oysters, shrimp and crabs, the mainstay of commercial fisheries in the Gulf. Coral reefs, as we know them, could disappear in our lifetimes or those of our children because they can no longer build the massive skeletons that define them. The challenges we face can seem overwhelming and too complex to solve, but that is not the case. Examples of positive actions are happening around the Gulf, from wetlands restoration to beach cleanups to turtle rescues. For the first time ever, our country has a national ocean policy. One directive of that policy was the establishment of a National Ocean Council to coordinate the ocean-related activities of various federal agencies. The Gulf of Mexico Alliance is a state-driven partnership with federal agencies, businesses and nongovern­mental organizations. It is a regional model of ocean governance that has been emulated in other coastal regions, the ideal means both to craft national policies into regionally effective ones and then to implement those policies. Positive actions by individuals and organizations, regardless of scale, can together make a difference and a positive one. We really have no choice. We all have a stake in the future of America’s Sea. The Deepwater Horizon oil spill (also known as the BP spill or Macondo blowout) began with an explosion and fire that killed 11 workers on April 20, 2010. Oil flowed into the Gulf of Mexico until relief wells stopped the spill three months later. An estimated 4.9 million barrels of crude oil escaped, making it the largest accidental marine oil spill in history. It was not the first spill to have large-scale impacts on the Gulf of Mexico. Ixtoc I, off Mexico’s Yucatán Peninsula, spilled 3.3 million barrels of crude oil from June 3, 1979, to March 23, 1980. Much of the lower Texas coast beachfront, from Port Isabel to near Matagorda Bay, was coated in oil. One significant difference between these two incidents was the great depth of the Macondo blowout (approximately 5,000 feet) compared with Ixtoc (160 feet). The full impact of the spill remains unknown, but the coastal wetlands, so important to commercial fisheries of the Gulf, may have escaped the level of damage initially feared. 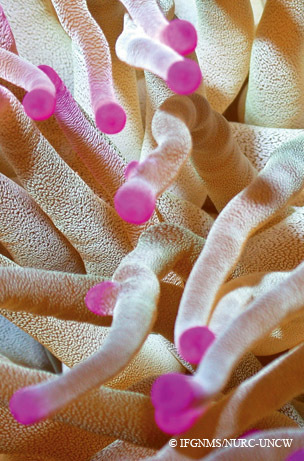 Long-term effects on ecosystem health remain a concern. The open-ocean and deep-water ecosystems of the northern Gulf may not have been so lucky, and we await the results of new studies. Our general lack of knowledge about ecosystem dynamics and function — and linkages between these communities and the shallower continental shelf ecosystem — is a serious impediment to assessing such damage. The Gulf’s remarkable resilience is certainly being tested, and we hope it will rebound. Only time and comprehensive study will tell us for sure. For more "State of the Gulf" videos, visit the State of Water website.